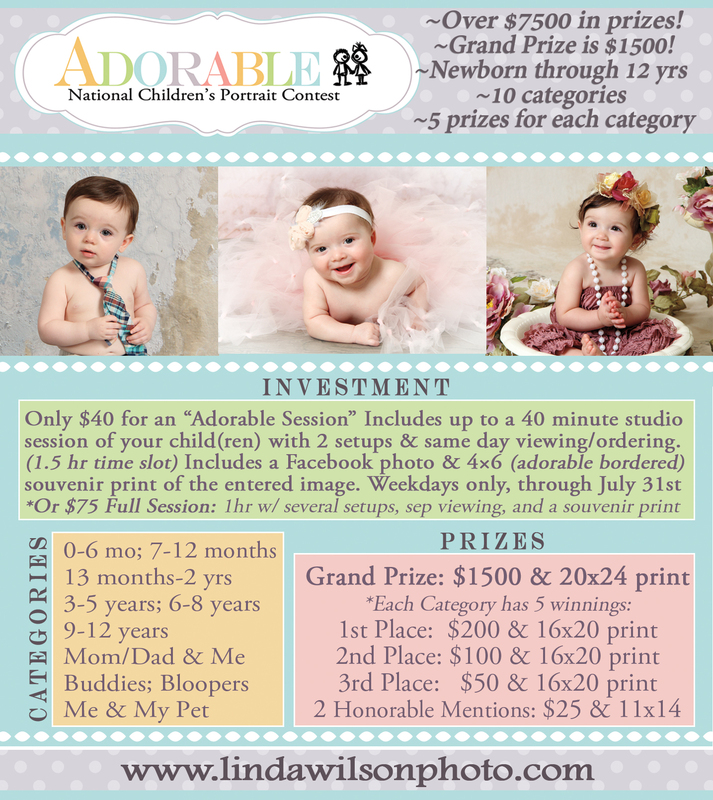 It’s not too late to schedule a session for the National Adorable Contest, which is giving away over $7500 in prizes! Contact me soon for a reduced session fee of $40 for a 45 min studio session, viewing appointment right after session, and your favorite image entered into contest with a free souvenir print and Facebook photo of the entered image. Weekdays only for this reduced price, and children 3 months to 12 yrs old) The only available days left are July 18th, 19th, 20th, 23rd, 24th ,26th, 27th, and 30th. For full sessions (which can include family poses too) Saturday 21st and 28th are still available for the regular $75 session fee. 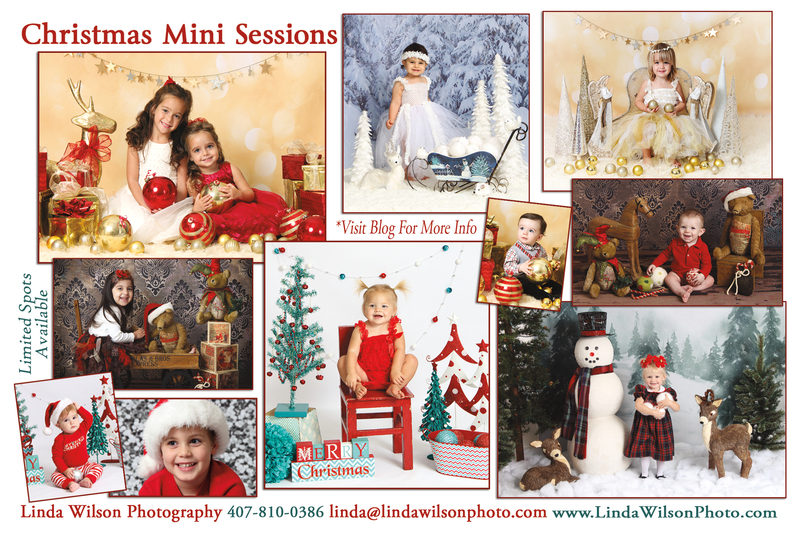 Email me at linda@lindawilsonphoto.com with 2 preferred dates/times to schedule your child’s session. 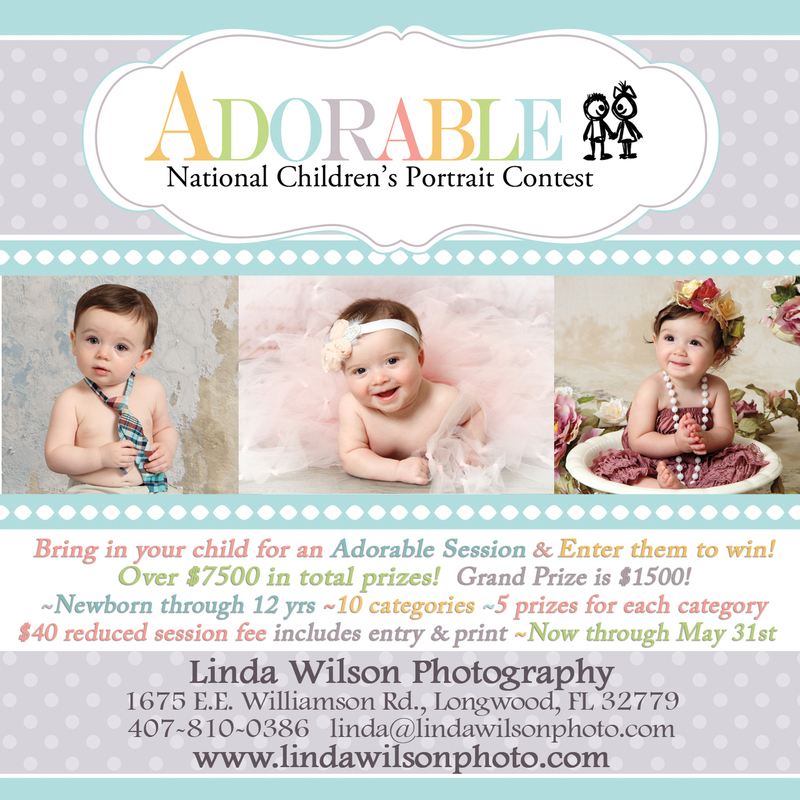 Because I had 3 winners last year in the National Adorable contest, I need more entries for more chances to win again this year since I have the most adorable customers! 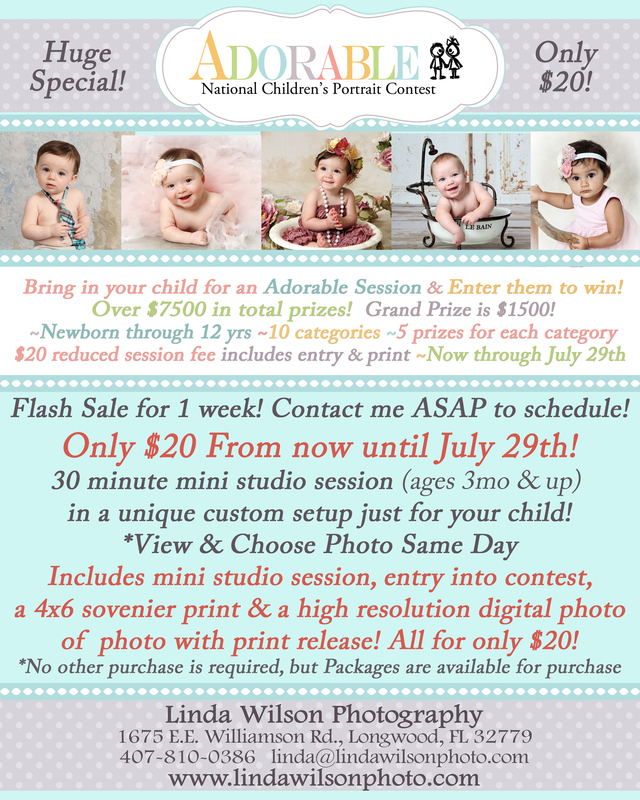 So we have 1 week left and I’m giving the lowest priced special ever of only $20 for the mini session fee, entry into contest, a free souvenir print, and best of all I’m adding the high resolution retouched digital photo file (with printing rights) for FREE! The special and the contest ends on July 29th, so contact me asap to schedule as spots are limited. Congratulations to the winners! Contact me about when your 16×20 print will be ready for pickup. (Note: These images show the cropped 16×20 proportion, which is shorter than ratio of the 4×6 entry print.) And thank you again to everyone that participated in this National Adorable Contest! I’ll most likely participate again next year for another try. But I’m glad I had my own private contest this time, too, because I truly believe I have the most adorable customers of all! 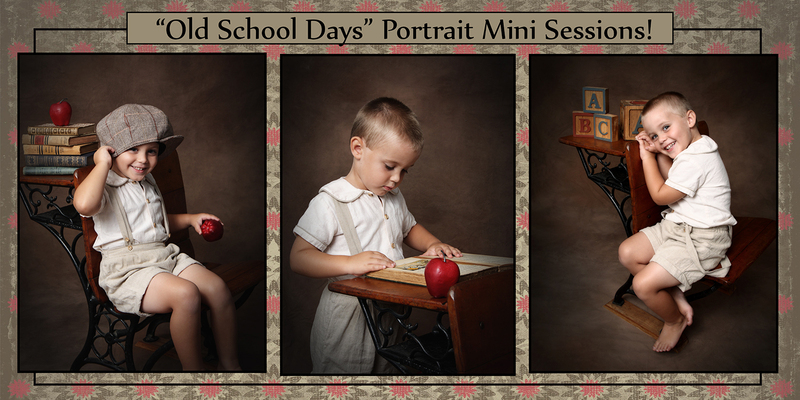 Cost: $125 Includes session and 8-10 downloadable digital files (artist’s choice) with upgrade options available. Limited spots are available so contact me as soon as possible if interested. My new pricing structure features a new “Create Your Own Collection” so that you can still receive package pricing, but only purchasing products you really love. 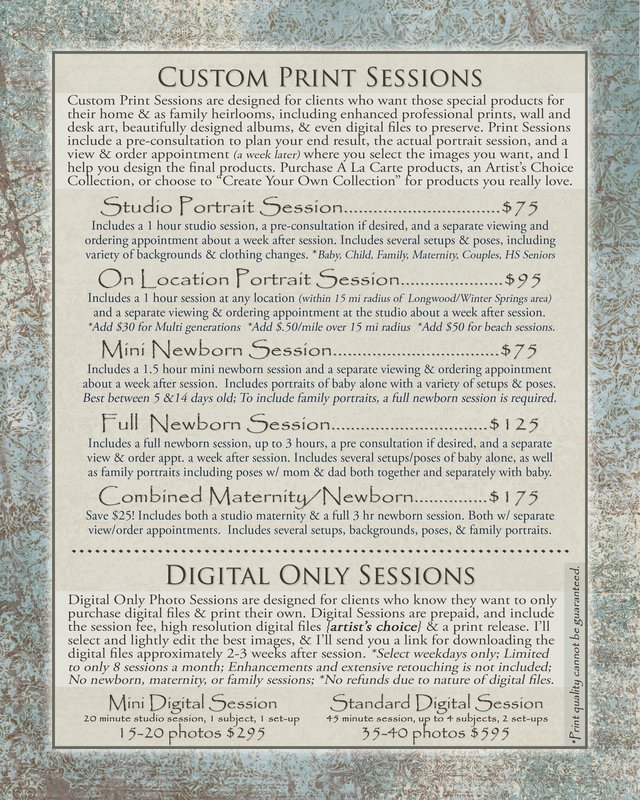 It also features a new “Digital Sessions” package for those of you who know you only wish to purchase digital files. Here are some pages with the two session types and pricing information, along with all the plan pricing. 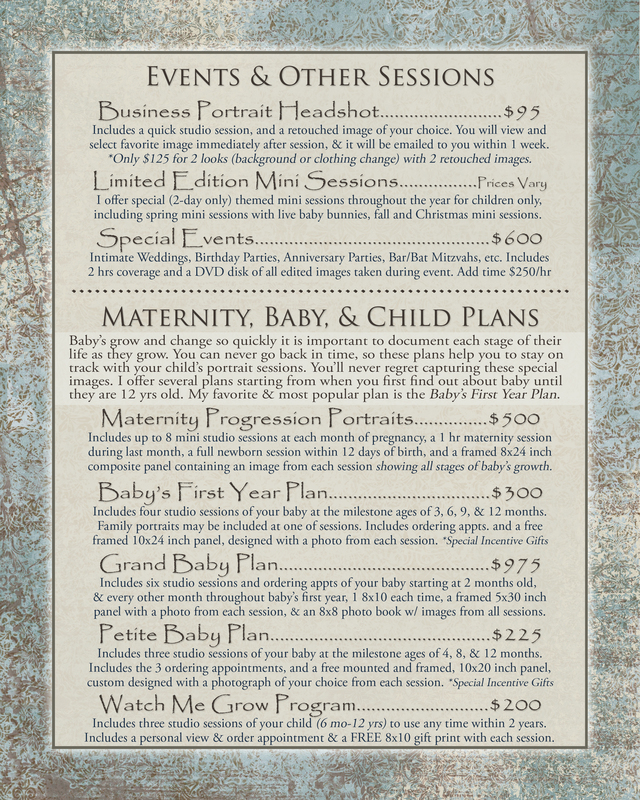 For the custom print sessions and baby plan sessions, Create Your Own Collections start at approx $280, Basic Collections start at $335, Artist’s Choice Collections start at $645, and digital file packages start at $175. I have so many products and choices to choose from so together we can pick the best option for you. As always, contact me with any questions. Thank you! 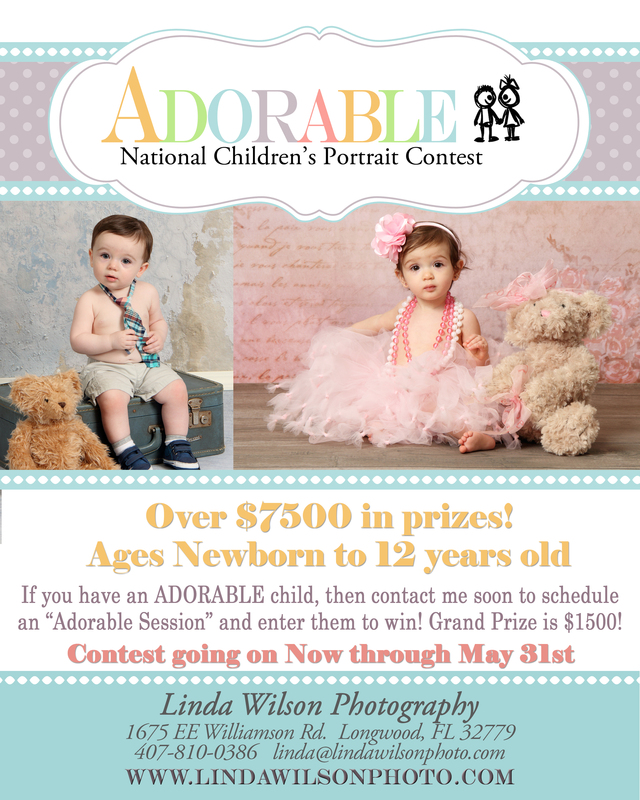 “Adorable” National Children’s Portrait Contest! 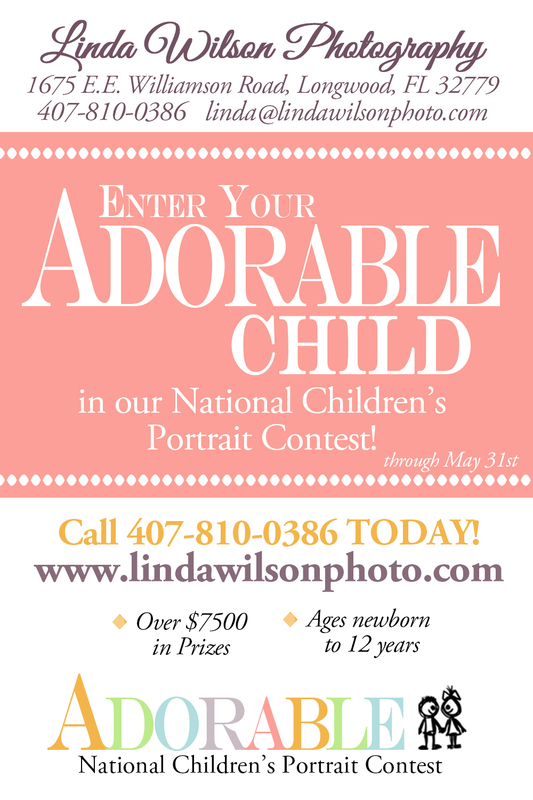 If you have an adorable child, from newborn up to 12 years of age, bring them in for a studio session by the end of May, at Linda Wilson Photography, and enter them into the “Adorable National Children’s Portrait Contest” to win money! 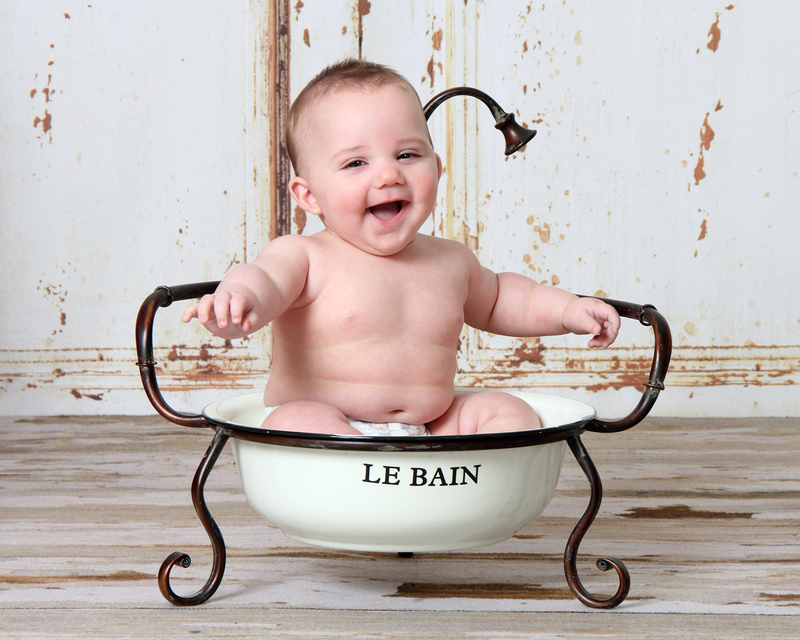 The grand prize winner (parent of adorable child) wins a $1500 gift card! There are 10 categories, with 5 additional chances to win a money prize for each age category, including 1st, 2nd, 3rd place, & 2 honorable mentions. I’m also giving a large print to all my winners! Of course, bragging rights would come along with any winnings as well! This is a real contest with real judges…not a facebook or popularity contest! There is over $7500 worth of prizes (about 50 winners in all) so don’t ignore this opportunity! I’m super excited about participating this year! 1.) Choose a Regular Full Session ($75) which is up to an hour session with several setups (including family poses too, if desired) with a separate view/order session about a week later, and includes a Facebook photo and a 4×6 (adorable bordered) souvenir print of entered image, and an additional free 5×7 with any print order. 2.) 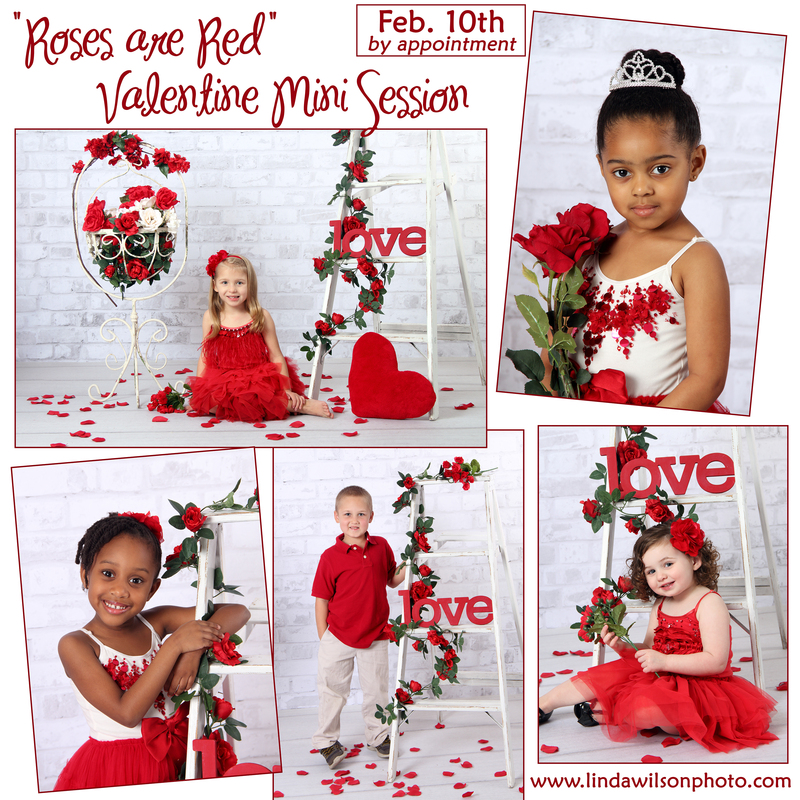 Choose to do an “Adorable Session” for a reduced session fee of only $40 for up to a 40 minute studio session of your child(ren) with only 1-2 setups, with viewing/ordering immediately after session. 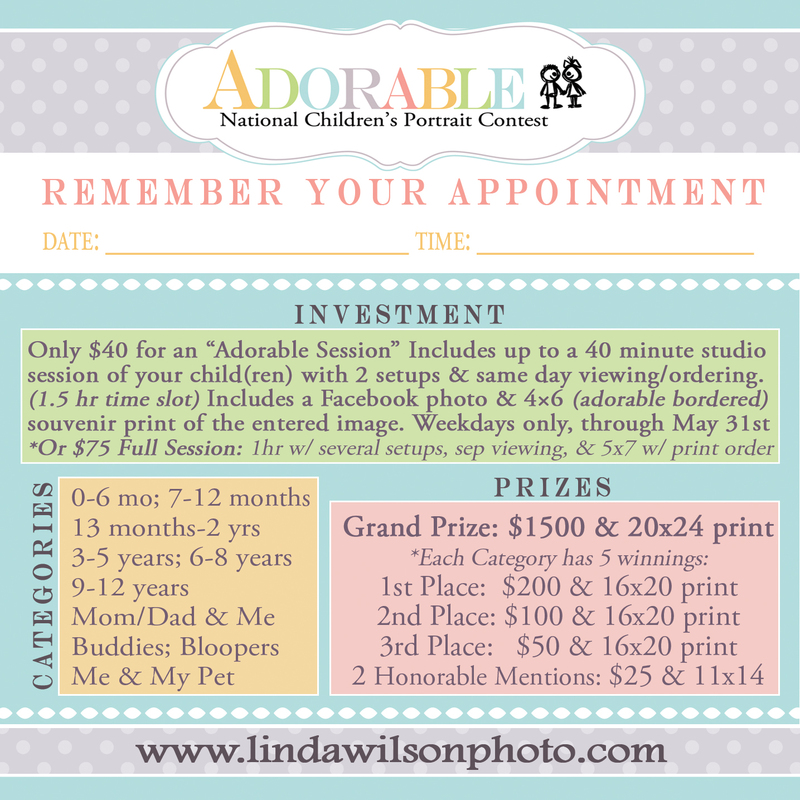 (1.5 hr time slot) Includes a Facebook photo and a 4×6 (adorable bordered) souvenir print of the entered image. 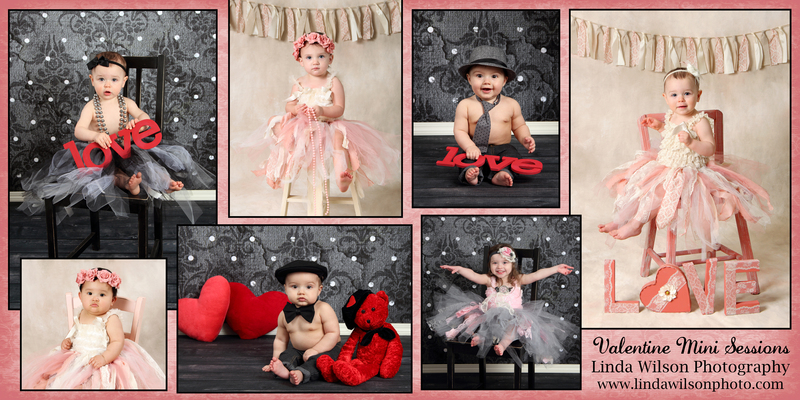 Adorable sessions are available on weekdays only, through May 29th. 3.) Already doing the Baby Plan, or Watch me Grow plan? As long as your next session is before May 31st, we can pick our favorite from the session to enter into the contest! *Parent must fill out the entry slip with a signature giving permission for child’s image to be judged, put on the internet, and possibly used in national advertising materials. 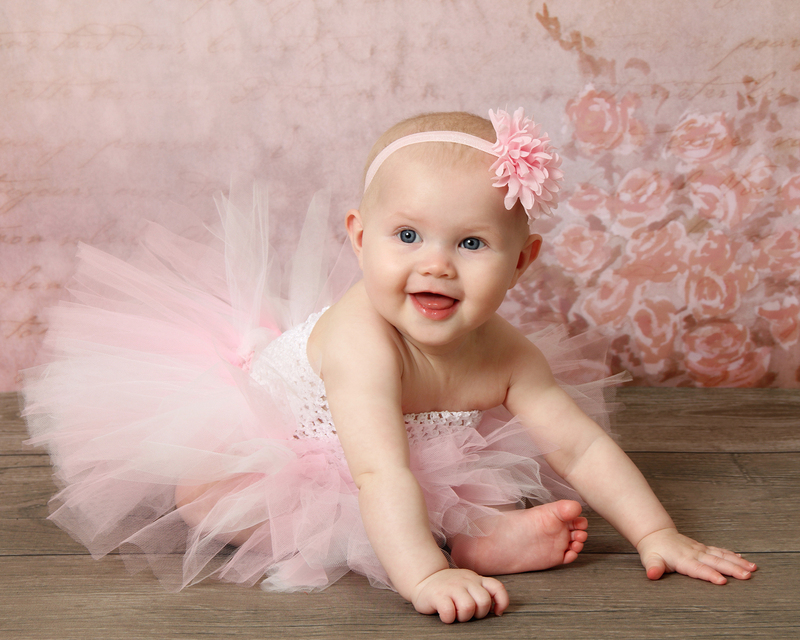 *No additional purchase is required, but if your child is really adorable, why wouldn’t you? 🙂 Packages start at $99, and payment plans are available. Contact me with any questions, or to schedule an appointment. 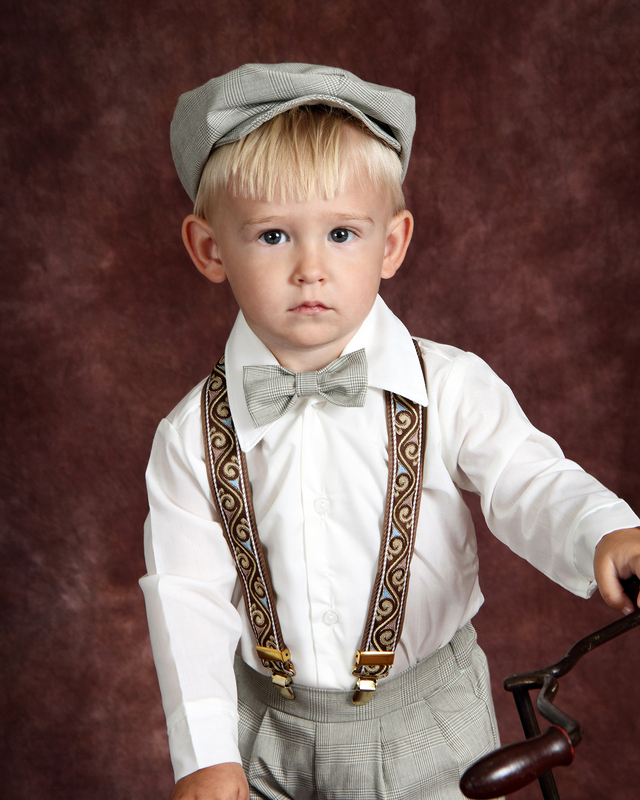 I’m looking forward to photographing your adorable children! *Last year, there were around 50 winnings and only 92 studios participated, so I’d say there is a high chance for my customers to win something this year! Woo-Hoo! Product Spotlight: This special is only for past customers this time. 50% off prints of previously purchased images only. If you have purchased a retouched print or digital file anytime between 2010 and March 2015, and would like a reprint, or a quality professional print from your digital file, then email me with the photo number, size of print you wish to purchase, and date of session. [*Note: I cannot guarantee that I will have everything backed up, as I did loose a very small amount of orders due to hard drive failure, but I have most orders. *Also note that this discount sale is for previously ordered images. If you had purchased the whole cd some of the images may not have been fully retouched, and will be printed as is, but detailed retouching could be added on, please contact me for quote. 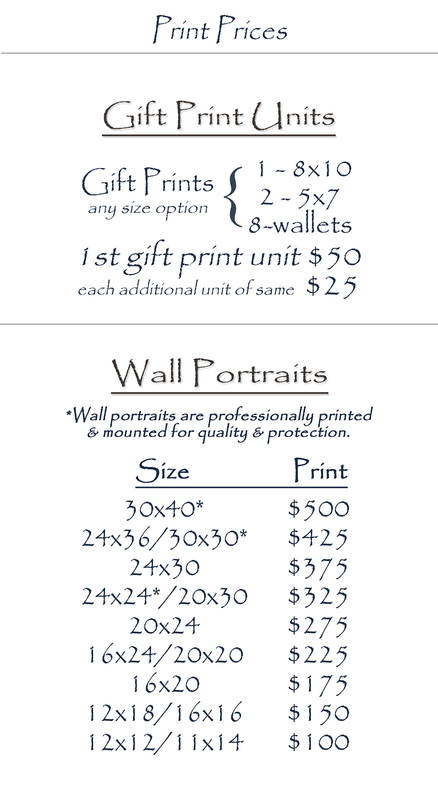 Here are the current print prices, so take 50% off these prices, plus 7% sales tax will be added. 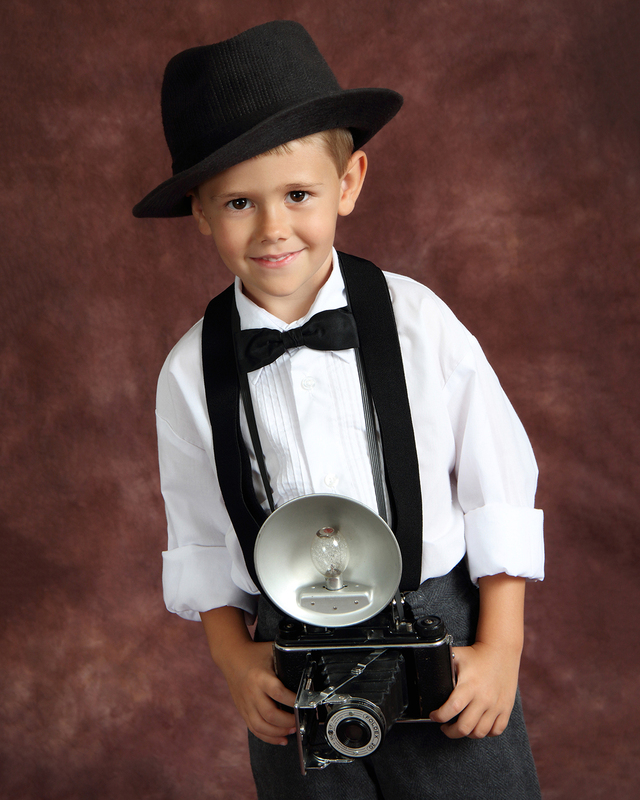 Any print larger than an 8×10 includes mounting for durability. 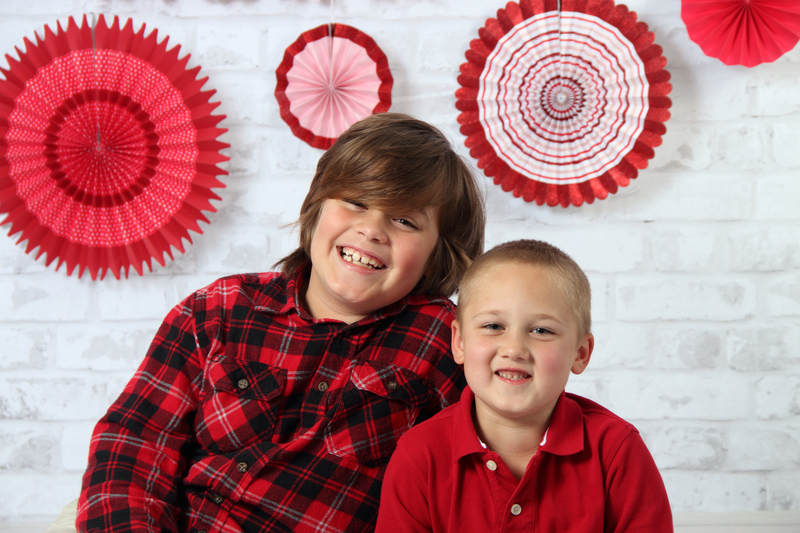 If you would like mounting for an 8×10, add $8. 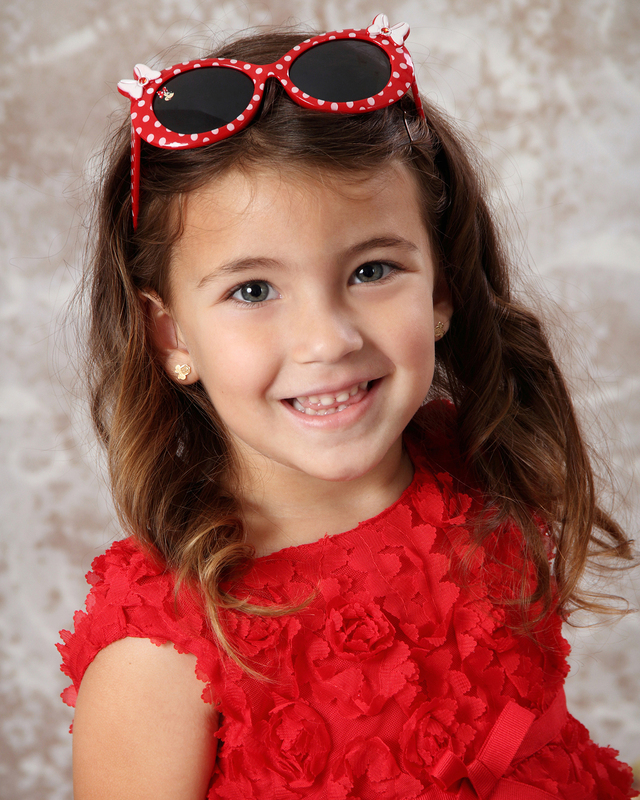 Model Search: For April and May, all children should already be modeling for the Adorable Contest, so there is no specific model search for the next 2 months at my studio. 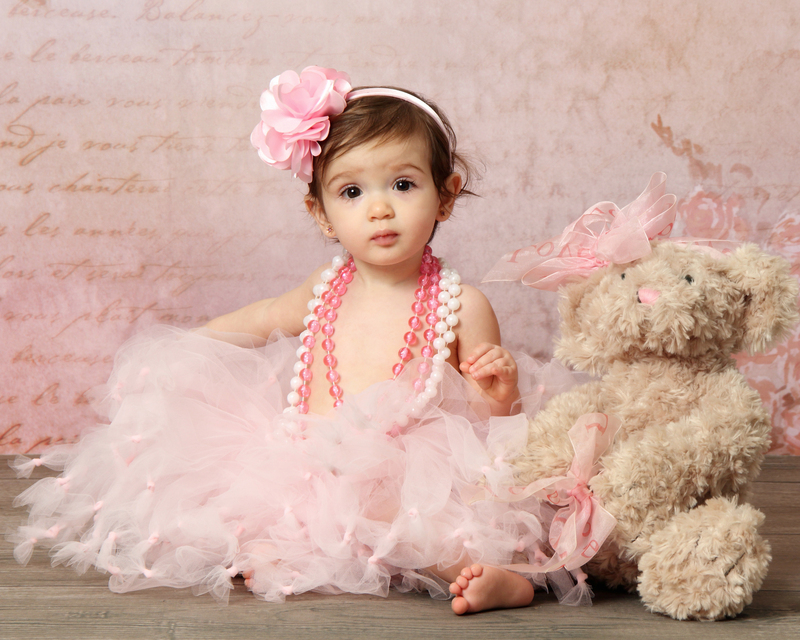 But please take advantage of the reduced $40 session and enter your adorable kids in the contest!